CLICK THE BANNER BELOW TO GET YOUR TICKETS NOW! We're down to that magical time called "Tech Week" for THE CAT'S MEOW. Some folks like to call it "Hell Week" because it's a lot of work, very taxing and most of us wouldn't wish it on our worst enemies. But when you have a production team as fantastic as mine, it's going to be more like "Heck Week". 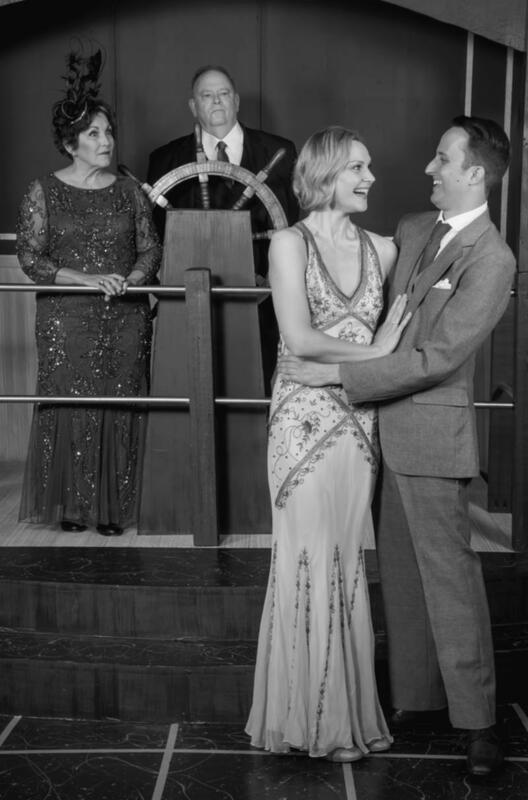 Based on the true story of a mysterious Hollywood death, and written by Steven Peros, The Cat's Meow offers a fascinating cross section of Jazz Era characters who intersect one notorious weekend on board William Randolph Hearst's yacht in 1924. Weekend guests include: Charlie Chaplin, who has been carrying on with movie star Marion Davies, a secret known to Davies' paramour, the married - and much older -- Hearst; and movie mogul Thomas Ince, who is hoping to revive his flagging fortunes by forming a partnership with Hearst. Playing with fire, Ince tries to convince Hearst that he can handle both Marion's movie career... and her private life as well. This is a darkly comic morality play, laced with clandestine romance, Hollywood excess, and steadily heating tensions, which climaxes in a shocking act of violence. We're rating this one PG-13 for some adult language, drug use, sexual situations, and violence. This show also uses live gunfire effects. We open on October 5 and I couldn't be more excited for you to see this show! Also that night, it's our big 2019 Season Reveal! If you have tickets to opening night, you'll want to make sure you're in your seat be 7:50 so you don't miss out on a single one of our fantastic shows for next year, including two shows that haven't been seen on our stage in over 20 years, the regional premiere of one musical, the world premiere of a comedy, plus two more fantastic plays and the previously-announced musical, The Apple Tree! Follow us on Facebook for teasers all this week. And, of course, this Thursday is our Preview Night for The Cat's Meow, where all tickets are just $5 each, cash only, available at the box office starting at 7 p.m., first come, first served.